(CBS/AP) PHILADELPHA - DC Entertainment is revisiting the "Watchmen" universe with a series of prequels that will debut this summer. The publisher of DC Comics said Wednesday that it will launch seven interlocking and inter-connected miniseries - each focusing on a specific character - as it revisits the world first and last seen in the 1986-1987 12-issue series written by Alan Moore and illustrated by Dave Gibbons, which has remained a staple of critics and consumers and a near-constant best-selling graphic novel. The seven titles will carry the "Before Watchmen" banner, DC said. "It's our responsibility as publishers to find new ways to keep all of our characters relevant," DC Entertainment co-publishers Dan DiDio and Jim Lee said in a statement. 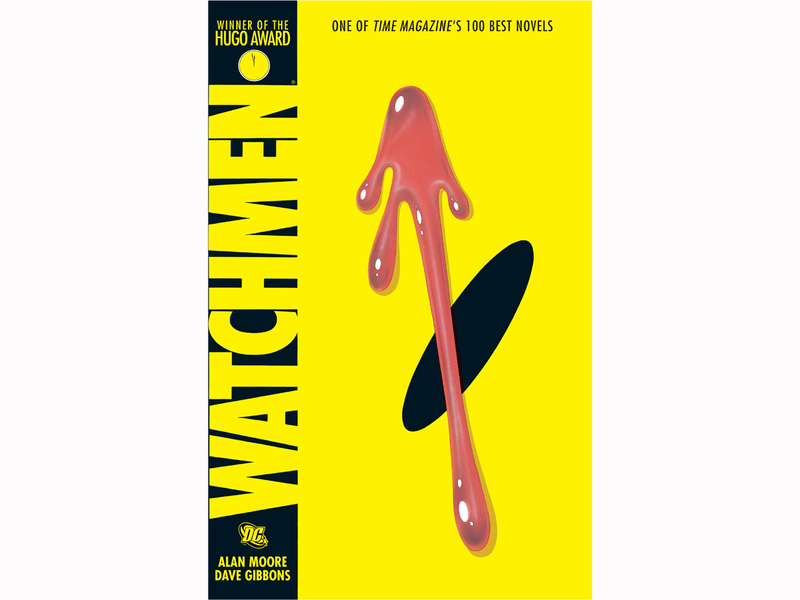 "After 25 years, the Watchmen are classic characters whose time has come for new stories to be told. We sought out the best writers and artists in the industry to build on the complex mythology of the original." Moore is not participating, but Gibbons noted that their original series was "the complete story that Alan Moore and I wanted to tell. However, I appreciate DC's reasons for this initiative and the wish of the artists and writers involved to pay tribute to our work." In that vein, the publisher said that the writers and artists creating the miniseries about Rorschach, Dr. Manhattan, Nite Owl, Ozymandias, Silk Spectre, Comedian and the Minutemen include writers Len Wein, who edited the original series; Darwyn Cooke; Brian Azzarello and J. Michael Straczynski. Artists include Amanda Conner, Andy and Joe Kubert, Adam Hughes, Jae Lee, J.G. Jones, Lee Bermejo and Cooke. Wein, who is writing "Ozymandias," is also penning a two-page backup feature in each of the series dubbed "The Curse of the Crimson Corsair," which is illustrated by John Higgins, who did the colors on the original "Watchmen" series. "'The Curse of the Crimson Corsair' was actually my idea when we first started talking about doing these new stories," Wein said. "Since, in the world of the Watchmen, DC stopped doing superhero comics early on and started a line of pirate comics instead, I thought it might be fun to see what one of the other books in the line looked like." That's akin to the similar pirate comic that played out in the pages of "Watchmen" that Moore wrote called "Tales of the Black Freighter,"' Wein said. "'Crimson Corsair' introduces a new character to follow from the beginning of his adventure to its grisly end. I must say I'm having a lot of fun getting creeped out by what I'm writing here." Higgins said he and Wein have kept the sense of foreboding and darkness that permeated the "Black Freighter" story. "What we are trying to achieve with the Crimson Corsair pages within the regular new series is to create a graphic 'buffer' and to use the darkness of the Crimson Corsair stories as a literary counterpoint to the regular book," he said. Looking ahead, Higgins said that even though the Watchmen has become a touchstone for comics and graphic novels, the new series can expand on its mythology. "The challenge is to make the stories modern and relevant to 2012 and to show what can be done with respect and consideration for the source material that has inspired so many people over the years. By adding to the mythos and not to detract from it," he said. "'The Watchmen' had such an influence on graphic storytelling since it first appeared and is a timeless classic. If we can create a new set of stories that can be enjoyed 25 years on, that would be an achievement and a reward in itself."